“Are you familiar with the band Propagandhi?” Aaron Cynic asked with a grin just visible in the dim glow of light bathing the dive bar where we met. “I love that band, wouldn’t be the person I am today without that band,” he said. He quoted a lyric: “I recognize the irony of biting the hand that feeds, and that’s exactly why privileged fucks like me should feel obliged to whine and kick and scream ‘til everyone has everything they need”. Those are words Chicago-based independent journalist Aaron Cynic lives and works by. As a frequent contributor to online news publications including Chicagoist, Progress Illinois and Shareable.net, Cynic passionately covers stories of marginalized and underserved people and communities within the Chicago region. Cynic, 35, grew up in a blue-collar, working-class home in the Chicago suburb of Tinley Park. He attended Catholic schools from kindergarten through 12th grade. His parents, practicing Catholics, worked very hard to be able to afford to send him and his brother to these schools. They though it was best. Cynic isn’t a practicing Catholic any longer and he takes aim at numerous issues within the church. 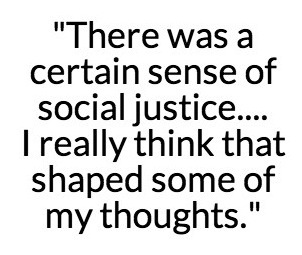 Still, he attributes his early bend towards social justice, in part, to his Catholic school education. Matriculating through private Catholic schools impressed a sense of class-consciousness onto Cynic as well. The influence of wealth and the injustice of disparity became clear to him an early age. Catholic schools rely on donations, Cynic explained. So, there were situations where he and his friends, kids from working class families like him, would get into trouble at school and administrators would come down hard on them. But when students of a higher socioeconomic status were caught doing the same things, they faced almost no consequence. Someone’s parents would write a huge check and the next year there would be a new library or something, he said. Their indiscretions magically disappeared. After school each day, Cynic immersed himself in a sharply contrasting world where money didn’t dictate political structure: “Star Trek: Next Generation”. Science fiction had a big influence on the formation of his young worldview, he said. Growing up watching a lot of “Star Trek: Next Generation” got him thinking about issues of class and equality. Warm, assured, steadfast, Cynic radiates with humble confidence when he speaks. But he wasn’t always that way. Cynic described his young self as a “nerdy, mousy and timid kid.” In grade school and middle school, he got picked on and beat up a lot. Cynic’s compassion for outsiders and marginalized people stems partially from his own, early identification as a kid who didn’t fit in. Though he is a straight, white American male, and he knows that is a position of relative privilege, he understands the anguish of being outcast, of being marginalized. And when he encounters that struggle in others, he recognizes it as his own. His compassion is not lost on friends of his either. “He’ll gladly give away his last dollar, bit of food, home space or clothes if that puts his friend in a better position,” said Natalie Wahlberg, a longtime friend and fellow Zine writer. She praised Cynic’s writing skills, especially with his Zines. He takes readers on rich experiences, she said. She noted that he is a gifted public speaker as well. “When Aaron participates in spoken word pieces reading his own short stories, it’s magic,” she said. For Cynic, journalism is a platform for telling stories that have been excluded from the mainstream dialogue. It is a way to give voice to voiceless. Because he knows what it’s like- It wasn’t until the age of 15 that Cynic overcame his shyness and discovered a voice of his own. He found it, quite literally and figuratively, in punk rock music. 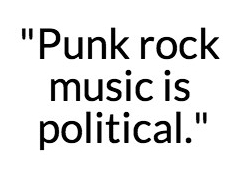 Punk rock music is political, Cynic said, and it exposed him to a lot of new ideas. He wanted to learn what these lyrics and ideas were all about. In doing so, he discovered influential thinkers like Howard Zinn and Noam Chomsky; people who saw the world as he did. Punk rock gave language to the proletarian notions that had long been swirling in his mind. Punk rock gave him confidence to speak his truths. Punk rock marked a new chapter. In high school Cynic joined a band and began writing songs and singing as the front man. Getting up on stage and performing in front of peers and strangers gave him a newfound, powerful sense of confidence. His formerly shy self dissipated. It was a metamorphosis. The punk scene also introduced him to Zines, which would become another passion for Cynic. He began writing and producing Zines about the local punk music scene. He joined a collective and eventually ran a Zine distribution center in the early 2000’s. Through the collective, Cynic started blogging and producing podcasts. Having been an early computer technology adopter, this came naturally to him. Over the years, he’s made a name for himself in the Chicago media and activism scenes. He’s gained a notable following and has been published by the likes of Z Magazine, Huffington Post, Truth Out and In These Times. Cynic doesn’t conceal the fact that he is driven by his particular beliefs. But he feels he is able get beyond his own perspective when covering news stories. He reports the unbiased facts of each hard news story he undertakes and works closely with editors to adhere to each publication’s particular guidelines, he said. He admits it can be hard for journalists with strong opinions to come out and say what they think these days. “People want to jump on you and be like ‘Oh, you’re so biased and scary’,” he said. Of course, everybody has political opinions, especially journalists, Cynic said. It’s just that most journalists hide that fact, but bias is a human condition. The key is being open about that bias, constantly questioning it and keeping it in check when you need to, he said. Cynic feels privileged that he is able to do what he loves for a living. 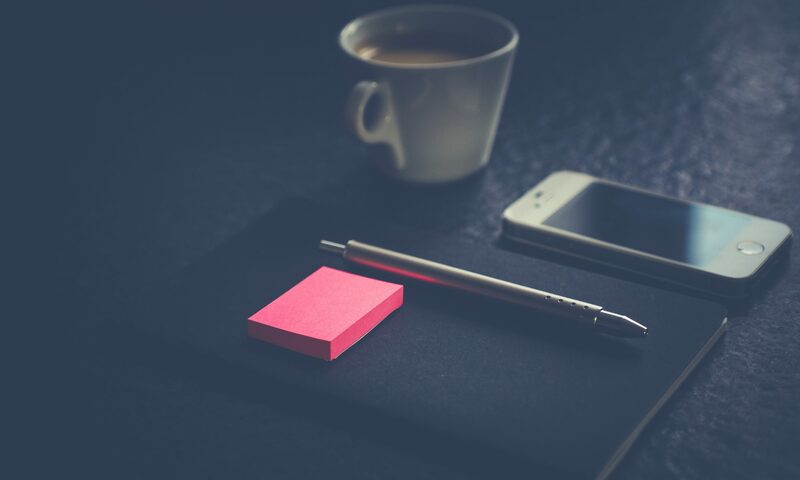 Unfortunately it’s hard to make an entire living out of freelance writing. It doesn’t pay very well and slow news periods can be hard. Some months Cynic takes odd jobs to pay the rent. Down the line, he’d like to get to a point where he doesn’t have to supplement his income this way. He’s not too bothered about being broke though. His motivation is anything but monetary.